Yesterday evening, my PayPal withdrawal to my bank account got cleared. So today, I went out to celebrate my “Project Day.” If you remember my previous posts that every time my blog earnings arrive, I buy myself something that would help me in my blogging. So today, I bought something very spacious! It was really a great buy from Makro Cagayan de Oro. 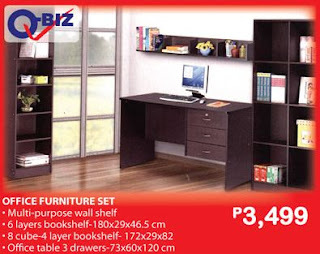 For only Php 3,499.00 (approximately $78.00), I got an office table, two stand alone bookshelves and one wall mounted bookshelf. Actually, we haven’t assembled it yet because my room is still full of junk. We plan to clear it over the weekend and probably by next week; my home office will be finished. I will post a picture of it soon but for the meantime, the picture within the post is the same home furniture I bought today. Cool deal right? That is great investment! Nice! hello janette! thanks for the visit. i really don’t regret buying it. a great investment indeed. Wow! Makro really spells value for money! And the furniture set really does look good. 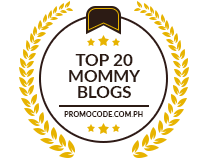 Go, Mommy!